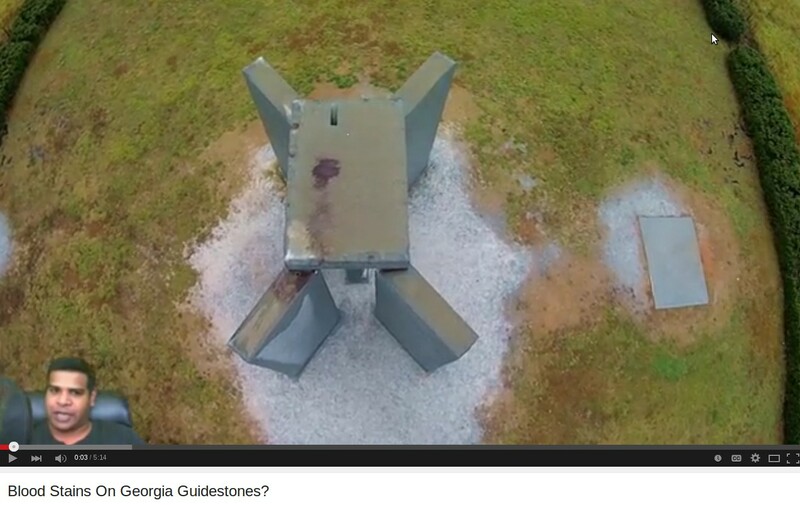 Do Blood Stains On Top Of Georgia Guidestones Indicate Satanic Blood Sacrifices As Warned Of By Local Church Pastor? 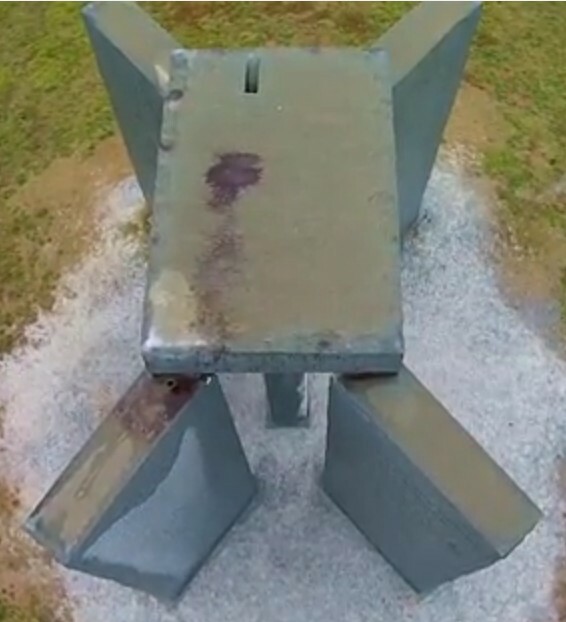 The very interesting new video below from Phenomenal Travel Videos seems to show blood stains on the top of the Georgia Guidestones, soon after the pastor of a local church warned that the guidestones would lead to blood sacrifices during occultic pagan rituals. Phenomenal Travel Videos used his quadcopter to capture the images and footage you'll see in the video below. With many rumors across the internet about the 'illuminati' and other secret societies allegedly holding sacrifices to gain social and political 'favor', are the stains seen here proof of such sacrifices or something else entirely? Did someone throw the blood on top of the guidestones as a sort of protest? Are these stains even blood at all or something else? Did somebody just throw a cup of say, chicken blood from the ground? It is kind of impossible to do that, because these stones are about 20 feet tall. If you throw a cup of blood from the ground, it would splatter all over the stones. If you observe the pattern closely, this liquid started flowing directly from the top to the pillar on the front left. What’s more interesting, the front left pillar is where a smaller stone block with an inscription 2014 was inserted. It created a big controversy and later on that block was removed, and you can see the empty slot here. Anyway if this is a case of vandalism, you would need a ladder to go up top and throw some blood. But you can’t do that that because you are being watched by the Police 24/7 and you can see the surveillance camera here. So this would have been some kind a planned ritual that happened on top of the capstone. And whatever happened, must have happened recently because if this was done a while ago, I imagine the blood would have been washed off by rain. We all know Georgia Guidestones are very mysterious, we don’t even know the real name of the person who built it. We know it was built by a secret society called Rosicrucians and they tend to construct these strange structures all over the world. In Pennsylvania, they have constructed Pyramids with strange symbols and writings. 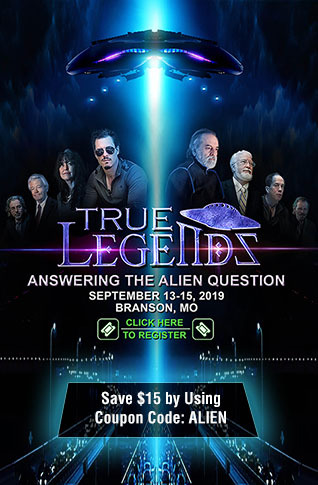 Why do we see these weird structures built in different states and what is the ultimate goal of these secret societies? What do you think we are looking at here? Is this evidence of a human/animal sacrifice held at the Georgia Guidestones? Look at the pattern of the blood or whatever it is. It almost looks as if someone/thing was dragged off of the monument and onto one support slab, probably before being dropped to the ground below. Your thoughts?